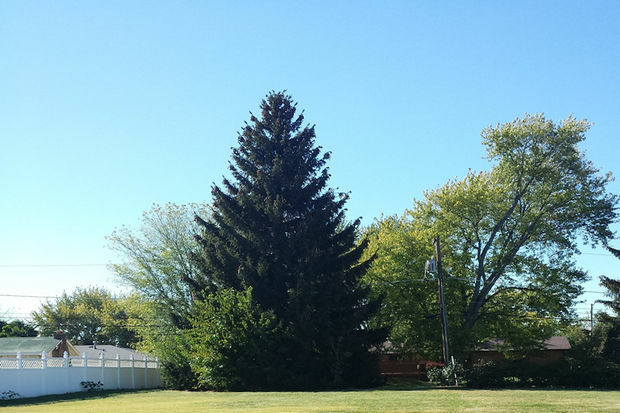 Donated by Darlene Dorfler of Grayslake, the city's Christmas tree is a 62-foot Norway spruce. CHICAGO — The city's official Christmas tree is on its way to Millennium Park, officials said Wednesday. Donated by Darlene Dorfler of Grayslake, the 62-foot tall Norway spruce has a 37-foot base, city officials said. The tree beat out 71 other trees submitted to the Department of Cultural Affairs and Special Events from late summer and fall. Dorfler told city officials the tree was most likely planted in the late 1930s or early 1940s on land owned then by John Olsen. After nearly 50 years in Daley Plaza in the Loop, the city's Christmas tree will spend its third year at Millennium Park, where the city offers ice skating and other winter-themed events such as caroling at the Bean. Officials will light the tree at 6 p.m. Nov. 17 as part of the 104th annual event.